Today sees the publication of the much anticipated Get Britain Cycling inquiry report. Over the past four months hundreds of hours of evidence have been submitted, pages of statistics compiled, all pointing to the same clear message: Britain's political leaders must act decisively to truly bring about a cycling revolution, with pressure today building on David Cameron himself. There is an alternative. 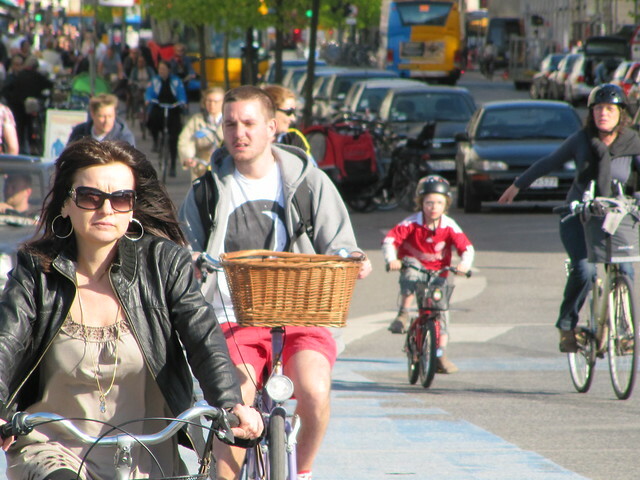 When more people cycle or walk, public health improves, obesity reduces and roads become safer. By changing how people travel, we can create places where people want to live, work, shop and do business. We can make people healthier, happier and wealthier. We can save huge costs to our NHS. To realise the full potential of this vision will require a fundamental cultural shift in the way we think about the way we travel. Cycling needs to be not just a personal option, when we decide how to travel for work, school or leisure, but as a core issue when planning our streets, roads, buildings and communities." The report makes 18 key recommendations to the Government on what needs to be done to truly bring about mass cycling rates in England. Motoring groups, road safety campaigners and opposition MPs have welcomed the proposals that they claim would save lives, improve public health and save millions of pounds; pressure is now being put directly on David Cameron as the leader of the Government and the nation's Prime Minister to personally pledge to "Get Britain Cycling". A petition on the Government website has been set up by campaigning journalists at The Times newspaper, whose colleague Mary Bowers was struck by a truck whilst cycling to work in 2011 and who remains severely brain damaged. The petition - which is open now for anyone to sign - states "In the Commons on February 22, 2012, the Prime Minister said of The Times's ‘Cities Fit for Cycling’ campaign: “If we want to encourage the growth in cycling we’ve seen in recent years, we need to get behind campaigns like this.” Now is the time to act on those words." Over 200 people had signed the petition within an hour of it going live last night, with the list of signatures growing rapidly this morning. In a powerful Editorial in The Times today, new editor John Witherow states: "Cycling has been good for David Cameron. The Prime Minister has used cycling to help brand himself a modern Conservative: young, down to earth and environmentally conscious. Now it is time for him to be good for cycling." Reallocation of road space for cycle routes running parallel to roads but separated from traffic, and connecting with routes and networks of enhanced off-road cycle paths, bridleways, disused railways and similar. A revision of existing cycle design guides, following the witness from the Highways Agency admitting his staff had little or no training or technical knowledge in designing for cyclists. There has never been this level of sustained focus on cycling at a political level in this country before. Some may point out that reports about riding bikes in Britain have come and gone before. That's as may be, but this report comes on the back of Olympic and Tour de France cycling euphoria, as more people cycle across the country than in many decades previously, and with the energy and focus of a united bicycle campaigning establishment (a rare thing!) as well as The Times thundering on our behalf. This report, and the pressure pushing for this change, will not go away - but we need your help to really make change happen. The time is now. Each and every concerned cyclist, would-be bike rider, and proud parent who dreams of a better country for their children has to today step up to be the change they want to see. We must each of us sign the petition, and then tell our friends to do the same. Let your cycling club mates know, mention it at your school coffee morning. Call your Mum! Add the link to your Facebook profile and ask all your friends to sign up too if they'd like to see safer roads for their mate to ride on! Here's the link to the petition - get busy! 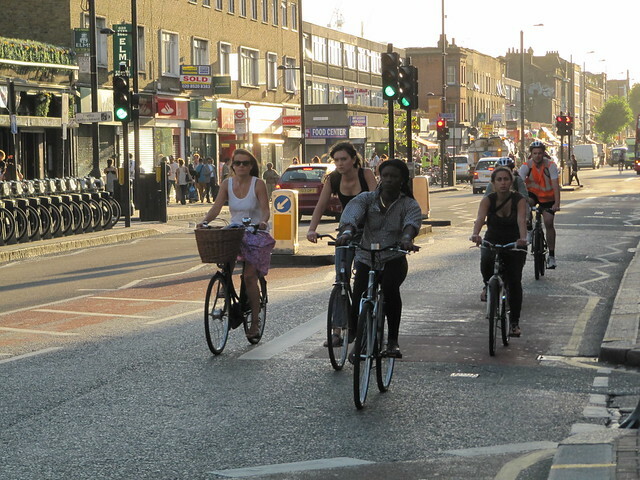 "If we fail it won’t be because people don’t like cycling, it will be because it’s just easier in the short term to do nothing, to pretend we can’t afford it, to say it’s someone else’s responsibility or pretend we’ll do it without making an honest long-term commitment. It’s apathy and lack of leadership that will continue to make us fat and our roads unpleasant places. ... it doesn’t have to be like this, our Government can change it." Let's ensure the Government hears our voices and truly commits to Get Britain Cycling!